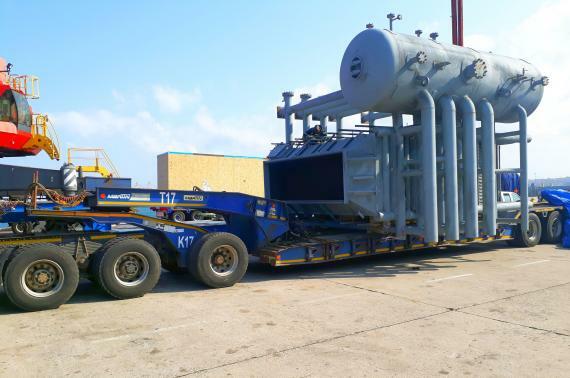 Members in South Africa, Afriguide Logistics were recently entrusted with the task of delivering a 200tn heat recovery steam generator system via Durban to a project site in Pretoria, North of Johannesburg. The system comprised of 65 pieces shipped from Genoa in Italy and Mersin in Turkey to Durban for ultimate delivery to a brewery in Pretoria. 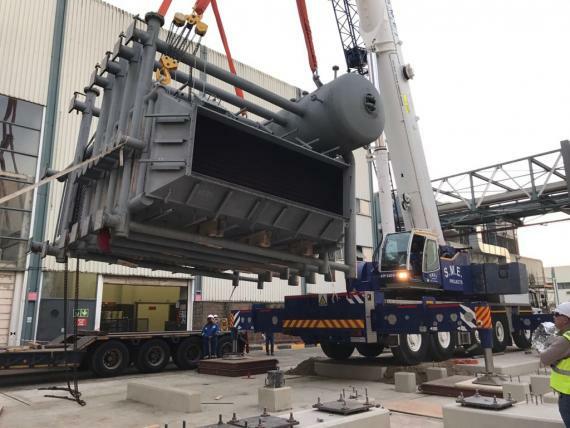 The larger components were shipped as RoRo static cargo loaded onto Mafi trailers with some of these pieces weighing in excess of 40tns and unusually shaped so specialist rigging and careful handling was required. Click below for photos of some of the cargo. 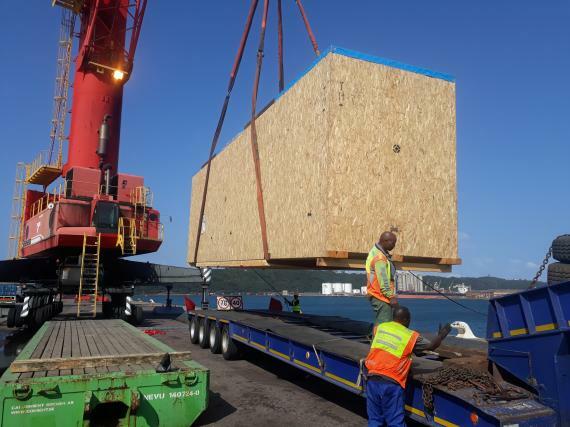 Director at Afriguide, Brad Stephens comments; "Since the entire system was shipped at the same time and had to be assembled on site in a specific sequence, some of the components had to be staged at an off-dock warehouse in Durban. The project engineers would then 'call in' certain parts as and when they needed them. With expensive cranes and costly personnel on standby, the onus was on Afriguide to present the cargo onto the site promptly." The entire inventory was delivered and erected over a period of two weeks and the end result was a resounding success.